The year 842 is the beginning of the end. In an act of unprovoked aggression, the Militesi Empire invaded the Dominion of Rubrum. Imperial dreadnoughts swarmed the skies, assailing the unsuspecting countryside under the banner of the White Tiger. From amidst the flames of the besieged dominion, the Vermilion Bird rose in defiance, her crystal granting magic and mighty eidolons that her disciples might cast out the technologically advanced aggressors. Final Fantasy Type-0 HD is a pleasant surprise, and after playing it, I can see why so many people were clamoring for a western release. Although it doesn't necessarily justify the HD treatment at every turn, the core game is worth playing whether you're a fan of the franchise, or just enjoy challenging tactical action. If Square keeps highlighting and pushing quality experiences like this, it will prove to more people it hasn't lost its touch. While it doesn’t look as good as Square Enix’s previous PSP remaster Kingdom Hearts: Birth by Sleep, you can really tell they did a good job on making this look pretty on current-gen consoles. ...I definitely would recommend picking up Final Fantasy Type-0 HD, as it features a decent story, a solid cast of characters, fun gameplay and tons of replayablity value mainly due to the New Game+ content that adds even more story. 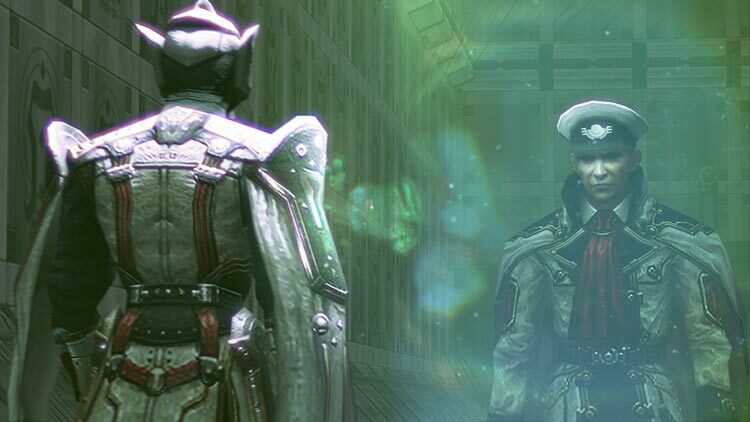 It's been a long time coming, and by and large Final Fantasy Type 0 is worth the wait. Despite some dated visuals and mechanics better suited for a last-generation portable system, and despite being greatly overshadowed by the Final Fantasy XV demo it ships with, Type 0 deserves the attention and respect of Final Fantasy fans. Type-0 HD's many technical shortcomings may have been forgiven if it were ported to the PS Vita instead of a current-gen console. Despite including stalwarts like chocobos, Odin, Moogles, Airships and a major character named Cid, Type-0 HD did not feel like a Final Fantasy product, especially in terms of quality. 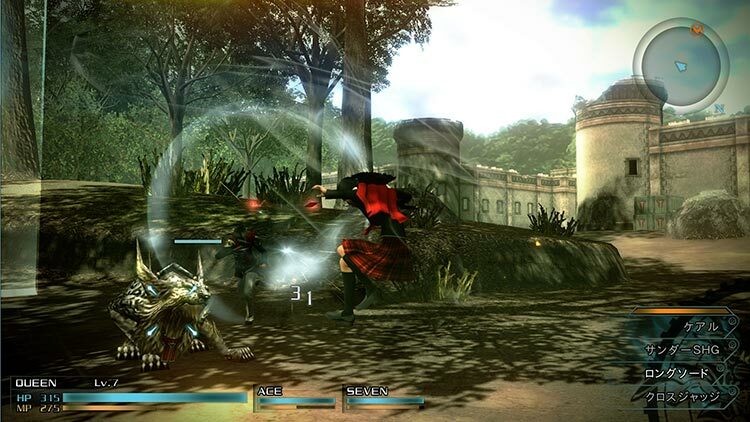 Final Fantasy Type-0 HD contains highly enjoyable combat that’s unfortunately limited by its design. The repetitive nature of how the missions are structured damages the overall experience, not to mention it isn’t until roughly halfway through the campaign before a meaningful plot is established. That tied in with a cast that’s spread too thin equates to a story that had incredible promise but ends up falling flat. 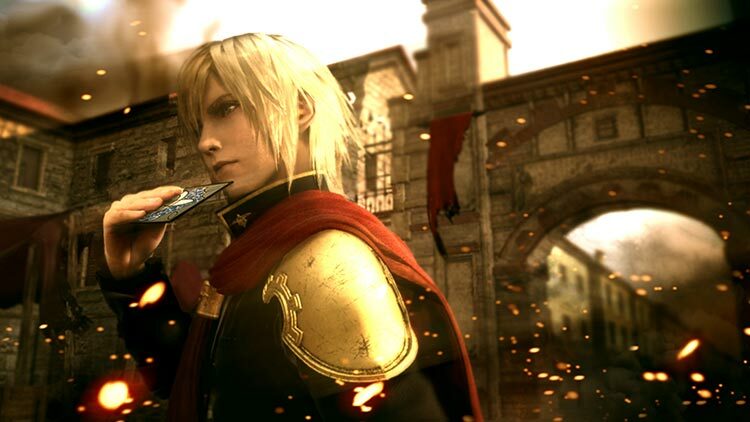 Final Fantasy Type-0 may have started life as a PSP game, but its mysterious world and fast-paced combat are still an exciting mix. Shame about the voice acting and interface, though. While it has its flaws, most notably its story and its need for you to play it twice, Type-0 is a radically different style of Final Fantasy. It strives to go in a different direction than its predecessors while not completely abandoning the series’ rich legacy. Though it’s clear Type-0’s doesn’t completely shed its portable origins, it offers more than enough to stand toe-to-toe with its other console counterparts. It’s a good action-packed RPG that does the Final Fantasy name justice. With a darker tone and war themed setting, Type-0 shows a dreadful and horrifying side of the world, but also the hidden beauty within it. Aside from the wonky camera, the battles are fast-paced and rewarding that makes the game stand out amongst other Final Fantasy titles giving a unique experience. Whether you’re a Final Fantasy fan or just in need of some action-packed battles, check out Final Fantasy Type-0 HD. A lot of this game's PSP heritage appears to be on display. While the characters appear to look fine for an HD remaster, many of the environments and menus look awkward and even blurry. The gameplay has several moments of frustration, especially with AI not always knowing when to heal you. This would normally be alleviated by grabbing a partner for co-op, but that aspect of the game was stripped away for the HD remaster for reasons that leave me scratching my head. It's a game I envied Japan of having for so long, and now I'm thankful to see that the envy was justified. ...Frustrating game systems that didn't seem to get polished when making the transition to HD are annoying, but the overall game, story and mission gameplay still make for an extremely compelling game. The new-gen port is based on an original PSP title, and without more polish, the visuals are dominated by muddy textures and frequent loading. The analog stick camera rotation is more finicky and abrupt than it should be. A new lower difficulty that can be changed as the game continues is a welcome addition, offering a toned down take on the original’s potent challenge. 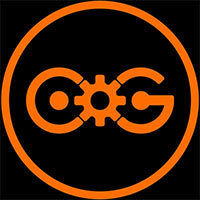 It’s too bad we lose out on the original’s cooperative multiplayer, which is absent from this edition. 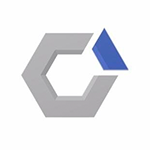 Bringing such an interesting, varied, and challenging game to consoles was a great move by Square Enix for the franchise. It’s more Final Fantasy than any recent Final Fantasy game. ...And hats off to the company for the royal treatment that this title got. Not only was it upgraded and upscaled to be fitting for release on the PlayStation 4, but the script, vocal performances, and related localization work are all top-notch. It’s clear that a lot of hard work went into making this the best it could be. Type-0’s gritty tone, fast-paced action, and strategic approach to time management is a welcome change of pace from the usual Final Fantasy experience. Though an exasperating camera and clunky mission controls sometimes dampened my fun, I enjoyed meeting the Class Zero cadets and guiding them through battle. There’s definitely no other class quite like them. 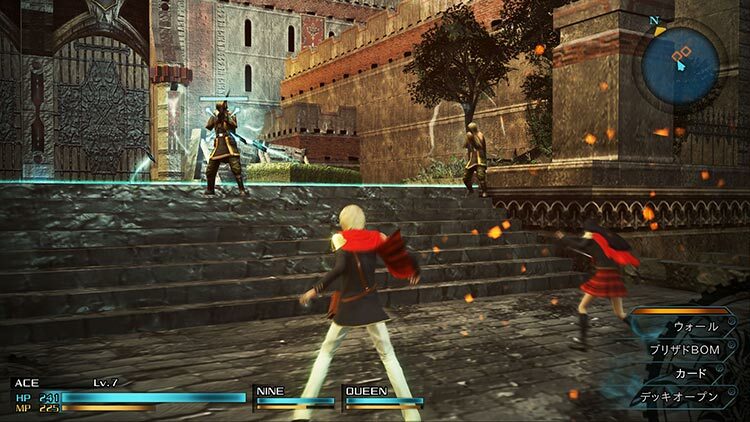 After years of waiting, Final Fantasy Type-0 has finally made its way to the West in grand fashion. Offering gameplay that is rather different for the franchise, the fast paced action manages to cater to not only longtime fans, but also a more widespread Western audience. While it has been massively revamped in both the graphics and audio departments, the game is still held back in other ways due to its portable roots. Seriously, this is one of the better combat systems in a JRPG that I have played. If you can get over the price tag and its obvious console shortcomings, you will find a game that is well worth the experience, XV demo or not. Final Fantasy Type-0 HD is about the fluid and frantic action ...The overarching story is tough to chew on, but the heartfelt personal stories vividly address the ugly side of war--the blood, the gore, and the sadness that lingers even when the memories of why you were fighting fade away. Yet it’s the battles themselves that make the most forcible argument for spending 25-plus hours with Final Fantasy Type-0, for it's in the combat arenas that Orience truly comes to life. As I said before, Final Fantasy Type-0 HD is definitely for fans only. One last warning, though: The main game is worth finishing if you can get past the punishingly hard boss battles that plague the last ten hours. With all that Type-0 does to freshen up the franchise, it also has some elements that come off as decidedly old-school. You’ll feel those out-of-date remnants of past RPGs as you slowly trudge from location to location in the unremarkable overworld or deal with the game’s outdated quest system. Type-0 doesn’t always hold your hand on what you’re supposed to be doing next or what all those names and terms it just threw at you mean, and all of it can be somewhat overwhelming or bewildering at times. With a wide range of characters to play, each with their own styles and skills, a deep and mysterious narrative to go through, and very fun combat at its core Final Fantasy Type-0 HD is a great way to pass the time between now and when FFXV drops later this year. It may not have all the visual upgrades one would hope for on the new gen of consoles.... The ending most certainly leaves the series open for more stories in the world. It discovers a fine balance the series has been sorely missing, between simplicity and complexity, difficulty and approachability, scope and scale. It also finds its own voice and a wide variety of things to keep players busy. Not all of those activities are handled perfectly, but damn it, I'd rather have a game that tries something interesting and occasionally stumbles than another generic saving-the-world epic. Bar that, there’s little else I can do to defame the game without slagging off the entire JRPG genre. It’s a slightly more active, engaging iteration on the traditional Final Fantasy experience and one that works well, even away from its native platform. If you’ve been avoiding the series for a good few years then Type-0 is a great place to pick up the thread once again. 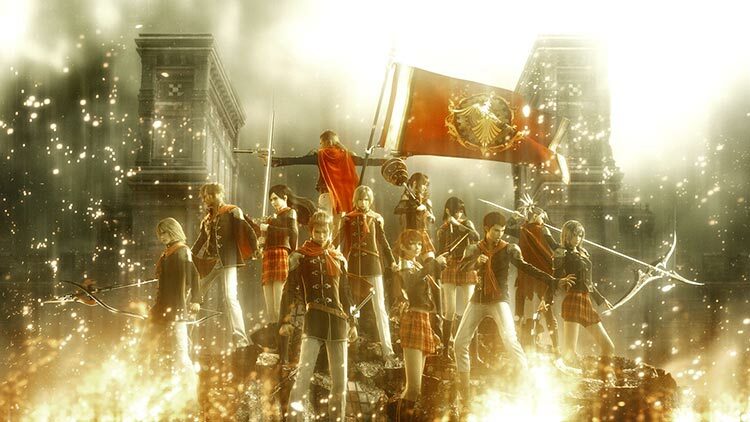 Final Fantasy Type-0 HD is a mechanically solid action role-playing game, but now and again, it feels far more like a straight port than a grand remaster. However, questionable visual effects and some pretentious plot points aren't quite enough to hold back the efforts of Class Zero. Even though it can take a little while to truly click, this is a unique and refreshing entry in Square Enix's beloved franchise, and one that's a prime candidate for an even better sequel. The combat proves very intense and entertaining at higher levels. We're glad to have got to play the game, but unfortunately the obvious age of the game makes it harder to enjoy. We have taken some things for granted on home consoles, and it detracts from the overall experience. In the end, it's still a mighty adventure and a taste of how a more mature Final Fantasy could look and play like, and is recommended for fans of the series. Type-0 may not yield the kind of complete package that RPG lovers may be longing to have, but the narrative potency and the gratification of combat will reward in spades anyone who enjoys an impactful experience. Unless you're a Final Fantasy diehard, Type-0 should be played in its original form on handheld, or not at all. Terrible visuals. Groan-inducing audio. Boring. En resumen, ¿merece la pena Type-0? Sí. Pero cambiad el chip: este es, en lo suyo, un fantástico ARPG como en su momento, Final Fantasy Tactics abrió el camino del RPG táctico dando como resultado un juego excelente. Type-0 no es tan bueno como aquel, pero es un Final Fantasy sólido. Y eso es lo que necesita ahora mismo la franquicia: calidad, aunque sea por la vía del spin-off. La exploración es repetitiva, tanto como los escenarios y las texturas, lo que termina por convertirse en uno de sus defectos más determinantes. Me encanta explorar montado en mi chocobo por un mapa de juego clásico pero no me mola nada llegar a una nueva mazmorra, o más bien cueva, y que sea exactamente igual en apariencia y diseño a las otras 4 que he ido descubriendo. Eso le resta credibilidad y sensación de estar en un universo variado. Gráficamente, el título luce muy bien y se nota que hubo mucho trabajo detrás de este apartado, a pesar de que algunas escenas aún lucen como recién salidas del título original de PSP; sin embargo, su interesante historia, gran cantidad de personajes, misiones, referencias a pasados títulos de la saga y su soundtrack formidable, le dan un gran valor de rejugabilidad, algo difícil de encontrar en la mayoría de los juegos actuales. No se libra de tener ciertos fallos que le impiden llegar más lejos, como lo fragmentado que está el mundo, las ciudades tan poco trabajadas que tiene, un apartado gráfico totalmente desfasado, unos personajes muy desaprovechados y unas misiones secundarias bastante mejorables, pero al final, a la hora de la verdad, si os gusta la saga y el rol tanto como a nosotros, os lo vais a pasar en grande decidiendo el destino de Orience junto a la Clase 0. Final Fantasy Type-0 HD es el caballo de Troya de Final Fantasy XV y la prueba más clara de que Square Enix sí quiere evolucionar en su serie de rol. Este remake ofrece una historia interesante, capaz de enganchar durante la totalidad de la aventura, incluyendo un sistema de combate profundo e interesante, y por momentos maravilla con su propuesta artística y musical. FF Type-0 HD es una aventura épica, dura y llena de momentos muy excitantes. Su tono adulto, profunda historia, cantidad de personajes controlables y variedad de situaciones nos han convencido plenamente, así como su sistema de batalla en tiempo real. ...Echamos de menos el modo multijugador presente en el original así como un tratamiento gráfico que explotara más las posibilidades de PS4 y Xbox One pero, aun así, se trata de un título notable. Final Fantasy Type-0 war seiner Zeit voraus, es ist vom Gameplay her der modernste Teil der Reihe. Das Spiel macht vieles richtig, was Final Fantasy 13 falsch gemacht hat. Technik und Story halten das Type-0 aber vom großen Wurf ab. Final Fantasy in "anders": Das leicht an Crisis Core erinnernde Echtzeit-Kampfsystem von Type-0 ist eine angenehme Abwechslung von den Active Time Battles und sonstigen "Quasi-Runden"-Aktionen, mit denen man z.B. Lightning durch ihre Abenteuer begleitet. ...Type-0 ist inhaltlich das bislang stärkste Kapitel des Fabula-Nova-Crystallis-Zyklus und wird letztlich nur von der Technik ausgebremst. Dépoussiéré sans grande envie, Final Fantasy Type-0 ne se voit malheureusement pas drapé de ses plus beaux atours dans cette version HD. ...Seule variable sur laquelle l'éditeur peut désormais influer, le prix sera donc un facteur essentiel dans votre choix d'acquérir ou non cet épisode : à plus de 50 €, la facture est encore trop salée. Avec un effort plus prononcé sur le tarif, les fans y trouveraient déjà bien plus leur compte. Si certains décors sont toujours assez fades et génériques, avec un aspect gros pixels prononcé par moments, on saluera le travail effectué sur les modèles des personnages (les héros notamment), les éclairages et jeux de lumière. L'Akademeia est à ce titre vraiment chouette à admirer. Autre bon point pour la musique du jeu : si les boucles sont hélas beaucoup trop courtes et répétitives, l'orientation qui a été donnée à la bande­-son se démarque positivement. Ne vous y trompez pas : Final Fantasy Type-0 HD n'est pas du tout une mauvaise expérience et propose notamment un système de combat aux petits oignons, ainsi qu'une certaine richesse dans son gameplay et dans la variété de ses quêtes annexes. Malheureusement, même s'il s'agit dans le fond d'un jeu très sympathique, nous avons ici affaire à un portage d'une qualité moyenne, entaché par quelques petits soucis techniques parfois hérités de la version PSP. La storia è avvincente e cruda quanto basta da far perdonare alcune mancanze in termini di caratterizzazione dei personaggi, e il sistema di combattimento, una volta approfondito, regala non poche soddisfazioni, soprattutto ai giocatori che amano le grandi sfide. Resta dunque il problema di un'operazione di svecchiamento che non è riuscita alla perfezione, e che potrebbe ingannare chi non conosce i complicati retroscena della Fabula Nova Crystallis, convinto di acquistare un titolo di nuova generazione. Non è questo un gioco perfetto, ma l’interessante sistema di combattimento, la tonnellata di cose da fare e sopratutto una scrittura finalmente solida e capace di osare lo rendono meritevole di essere provato, e questo al di là di quella mossa furbetta che è stata la demo allegata di Final Fantasy XV. Se saprete passare sopra una telecamera da prendere a pizze in faccia potreste stupirvi di quanto Final Fantasy Type-0 HD sia un titolo godibile. 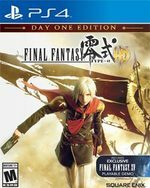 Final Fantasy Type-0 HD – это отвратительный HD-ремастер игры, которая и в оригинале-то была посредственностью. Выйди она на Vita, ей можно было скостить пару баллов с оглядкой на портативность – но она появилась на PS4 одновременно с Bloodborne и по цене Bloodborne! Тем более показательно, что Square Enix вынудила желающих поиграть в демоверсию долгожданной Final Fantasy XV приобретать Type-0 HD: понимала, видать, что иначе «типа ноль» в таком виде не будет нужен практически никому. Final Fantasy Type-0 HD tvingar en inbiten Final Fantasy-spelare att tänka om. Glöm snällt väntande fiender, du måste vara snabb och samtidigt vara strategisk. Grafiken är upphottad sedan PSP-släppet men här och där finns fortfarande några lågupplösta texturer kvar. Berättelsen fångar mig mer och mer ju längre jag spelar och jag är nyfiken på hur allt ska sluta.